Goodwin Consulting Group prepares detailed financing strategies to ensure that public infrastructure required to serve a new development will be funded in a timely and efficient manner. Incorporating the nexus requirements mandated by state law, GCG determines the gross impact fees that would be required from each type of land use proposed within a project and evaluates the feasibility of the associated funding burdens. GCG then compares the revenues available from pay-as-you-go financing to the phasing of infrastructure costs to determine if other mechanisms are needed to remedy funding gaps. Based on the results of this analysis, GCG recommends a strategy to ensure that all improvements are funded in a timely manner. A public facilities financing matrix, statement of sources and uses, and other tools are used to present the findings and offer a high-level summary of the proposed strategy. The recommended strategy may include development impact fees, Mello-Roos or assessment district bonds, revenue bonds, certificates of participation, tax allocation bonds, or other funding mechanisms. GCG also evaluates whether a reimbursement program will be needed to maintain equity among landowners in a project. Alternatives to provide such reimbursement, including area-of-benefit fee programs and Integrated Financing Districts, are analyzed in detail to demonstrate to landowners how reimbursement will ultimately be realized. 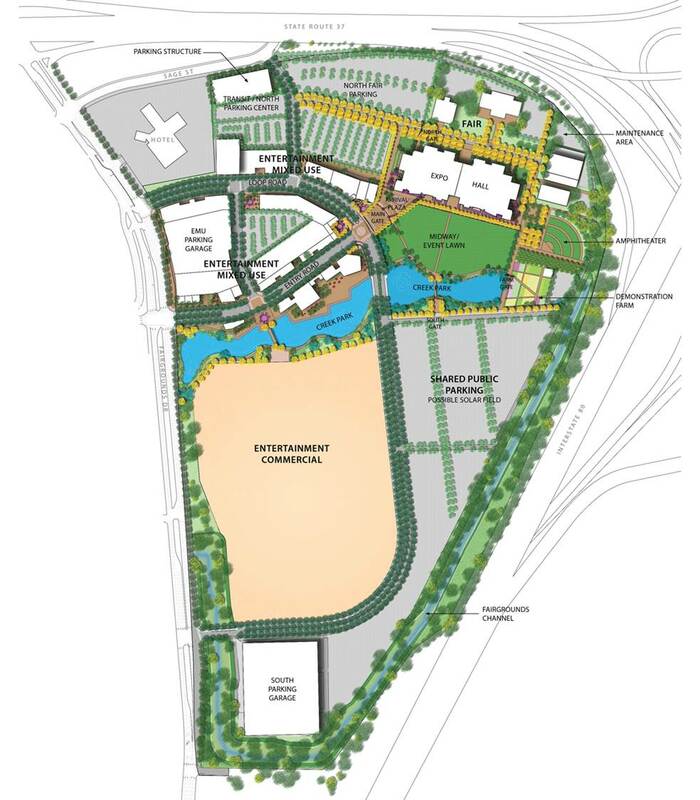 The Solano360 project is located adjacent to Six Flags Discovery Kingdom on the current site of the Solano County Fairgrounds, on land owned by the County but within the city limits of Vallejo and inside a City redevelopment project area. Divided into three phases, the project is expected to entail private development of 329,000 square feet of entertainment mixed use and a 30-acre theme/amusement park attraction, as well as public development involving a new 145,000 square foot exposition hall and other “Fair of the Future” improvements. The County anticipates entering into a long-term ground lease and development agreement with a master developer for the private development component of the project. 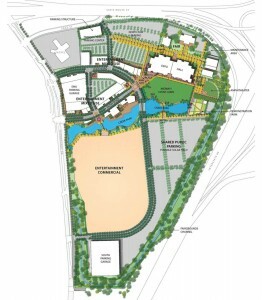 GCG evaluated the annual fiscal impacts on the County, the Fair Association, the City, and the City’s redevelopment agency, under the base case land use scenario and a second scenario assuming that a portion of the retail development is built out as higher density office development instead. Unique aspects of the project, including an annual entertainment charge, a short-term citywide sales tax, interim parking revenue, and a requirement for higher City service standards, were modeled. GCG also worked with Fair staff to estimate net Fair revenue related to the expanded and refurbished Fairgrounds. GCG needed to re-evaluate the Project to exclude redevelopment agency impacts and to revise impacts on the County and City after the State eliminated redevelopment agencies. GCG also prepared a public facilities financing plan for two land use scenarios, which included a need to address major onsite facilities, offsite regional transportation infrastructure, and actual Fairground improvements. GCG developed a strategy that applies a combination of Certificates of Participation (COPs), tax increment financing using both existing and future increment, a Community Facilities District on the private development portion of the project, and development impact fees. GCG revised the financing plan after the abolishment of redevelopment agencies to remove tax increment financing and introduce an escalating debt service structure for the COPs, the use of capital appreciation bonds to cover the County’s infrastructure oversizing until private development could reimburse the County for its fair share, and more CFD debt. Finally, GCG worked closely with other project consultants to develop a project pro forma that integrated ground lease revenue with the positive net fiscal impacts to offset debt service on the COPs. Mariposa Lakes is a proposed master-planned community that anticipates development of more than 10,600 residential units and 13 million square feet of non-residential uses on 2,700 acres. The project also includes 170 acres of schools and 426 acres of parks and open space. GCG prepared a Public Facilities Financing Plan (PFFP) that proposed various funding mechanisms, including development impact fees, revenue bonds, and land-secured financing, to fund more than $1.1 billion in public facilities. GCG worked closely with City staff, developers, and other consultants to develop a strategy that accommodated both private and public sector viewpoints and extraordinary infrastructure needs. The PFFP included multiple sensitivity analyses to evaluate project feasibility assuming various price points and absorption scenarios. Furthermore, the PFFP quantified both upfront infrastructure burdens and annual burdens associated with ongoing taxes and assessments to demonstrate that GCG’s recommended financing strategy would be viable. GCG has prepared and updated individual public facilities financing plans for three different specific plan areas within the City. 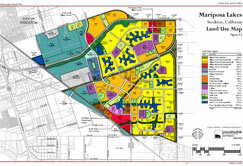 The Airport Area Specific Plan (AASP) proposes approximately 7.3 million square feet of non-residential land uses on nearly 1,500 acres; the Margarita Area Specific Plan (MASP) entails 416 acres planned for approximately 840 residential units, 900,000 square feet of business park uses, and 65,000 square feet of neighborhood commercial; and the Orcutt Area Specific Plan involves 213 acres and approximately 950 residential units. The financial feasibility tests and funding strategies performed for each area considered the backbone infrastructure costs of developing the area, citywide development impact fees, as well as other applicable fees in determining the gross total fees per acre or unit. After taking into account the potential for offsetting some of the upfront costs with Mello Roos financing, a net one time burden as a percentage of developed value was calculated to assess the financial feasibility of the project. The Chevron restoration and redevelopment project, with one million square feet of proposed non-residential land uses, represents a portion of all future development within the AASP. In a separate report, GCG conducted several tests to examine how the backbone infrastructure costs required to develop the Chevron project area relative to its fair-share of the overall infrastructure requirement for the entire AASP could result in oversizing of public facilities and influence project feasibility. A burden-to-value analysis, phased cash flow analysis, and residual land value analysis presented different ways to view project feasibility and the impacts of oversizing. GCG also evaluated the fiscal impacts of the Chevron project on the City. For the initial phase of MASP development, GCG conducted infrastructure oversizing reimbursement, fiscal impact, and economic impact analyses in a separate study. At buildout, the Tracy Urban Management Plan (UMP) area was anticipated to include 46,000 new residential dwelling units and 7,800 acres of new commercial/industrial development. 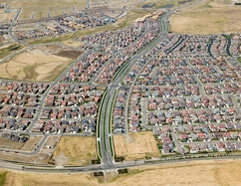 A number of analyses were provided to the City associated with determining the feasibility of the UMP, including the following: (i) analysis of market conditions and growth pressures in San Joaquin County to develop estimated absorption rates for UMP land uses; (ii) allocation of public facility costs based on benefit criteria and timing considerations, with input from public and private sector participants; and (iii) development of a general financing plan for the entire UMP and a specific, more detailed program for first phase development. In addition, an analysis of a proposed consolidation of the Tracy Rural Fire Protection District with the Tracy Fire Department was conducted, and the City’s participation in a regional water treatment and distribution facility was evaluated. Since then, a series of Finance & Implementation Plans (FIPs) and CFDs have been prepared and formed to implement the first and future phases of UMP growth. Six FIPs and six CFDs have been created for both residential and non-residential development. Because numerous landowners and developers were involved in the process, some projects had development agreements with certain provisions that did not apply to other projects, and a few developers wanted specific financing structures. As a result, two CFDs were initially formed to address separate needs, one of which incorporated most of the residential projects ready to develop at that time. The special tax formula included two tax structures for developed property to account for two different water improvement obligations and a separate tax structure for undeveloped property that reflected expected residential density. The third residential CFD has two improvement areas; one is anticipated to include traditional lots and the other is anticipated to develop bigger lots with high-end homes. The fourth FIP and CFD were created to facilitate industrial and business park development that involved out-of-state developers unfamiliar with CFD financing. Because the CFD covered just the first phase of a much larger area, the district included provisions to allow for future annexations; GCG completed the public financing analysis for the second phase of this northeast industrial area with another FIP and formed the second CFD for the area. 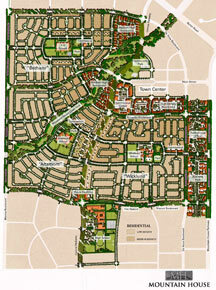 GCG also prepared the sixth FIP for the Tracy Gateway project, which includes over 500 acres of business park, retail, hotel, and golf course land uses; however, formation of a CFD to fund infrastructure required to serve Gateway has been on hold until additional plans and programs can be developed. Encompassing approximately 3,500 acres of land south of Highway 50 and the City of Folsom, the project is expected to include nearly 10,000 residential units and 450 acres of non residential land uses. GCG prepared both the fiscal impact study and the public facilities financing plan. Taking an annual look at the recurring impacts on the City’s general fund, GCG ran several sensitivity analyses to assist the City in their annexation negotiations with Sacramento County. The financing plan recommended a mix of developer capital, impact fees, CFD financing, and external sources such as state and federal grants. Infrastructure costs were provided on a phased basis, and anticipated revenues were compared to these costs to quantify funding deficits and surpluses by phase. In order to estimate the amount of oversizing or reimbursements due for each phase, the financing plan calculated the gross project specific burden by land use. GCG included a table that summarized the cash flow requirements resulting from the uneven relationship between the timing of the infrastructure needs and the proposed absorption schedule.